Can You Solve The Rabbit Riddle? Only 1% of animal lovers will get this riddle correct. Are you in the 1%? 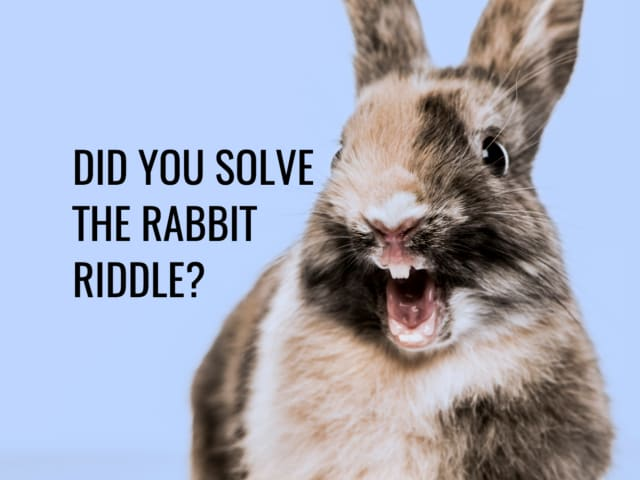 Did you solve the Rabbit Riddle? Yes! I solved it, what else would they listen to? Nope! Are you kidding? That was hard! If you like this one you may also like this silly owl joke!